By 2050, 70% of us will live in cities. To meet the challenges of today and prepare for tomorrow, cities must rapidly embed sustainable approaches into their development. 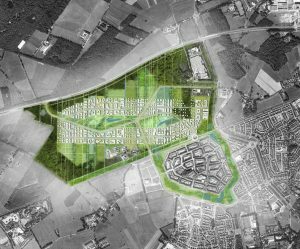 The new ‘Metabolic Cities Program’ – starting with a focus on spatial planning – will bring together European cities to accelerate the transition to becoming inclusive, regenerative, and circular. Application for membership is now open. Many European cities have taken the lead in setting goals towards becoming more sustainable. But knowing where to start and understanding which strategies can really have the most impact can be a real barrier for progress. That’s why we’re excited to launch the Metabolic Cities Program to guide cities to engage with communities, make data-driven decisions, accelerate their progress to becoming sustainable leaders, and connect them to a change-driven network of other pioneers. 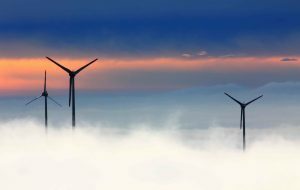 The program builds on the work we have already undertaken, supporting dozens of cities and regions in their transition to a sustainable and circular future. 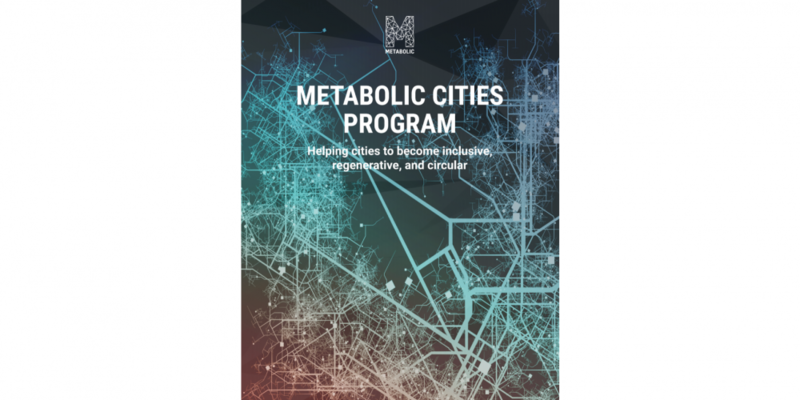 Membership of the Metabolic Cities Program is open to cities across north west Europe. Joining the program provides access to exclusive consulting, learning, and collaboration opportunities with cities across Europe. One of the cornerstone activities of membership will allow cities to participate in our yearly Metabolic Cities research trajectory. These trajectories seek to answer a critical challenge and provide a toolkit for developing smart policy and infrastructure. Our first research trajectory will be on Spatial Intelligence. It will help cities overcome one of the biggest barriers to sustainable transition; helping them implement city-wide sustainability goals at a neighbourhood level through data modeling tools and our advanced spatial planning approach. Through the program, cities learn how to apply their policy goals spatially, define KPIs to track progress, and engage with local stakeholders to jump-start implementation. Cities share lessons learned and can build partnerships around similar challenges and interventions. The approach recognizes that cities are complex living systems, and therefore policy must be applied locally. It also addresses the fact that spatial analysis can be resource intensive, requiring new tools and collaborations. Involvement and tailored outcomes from the joint working group (Year 1 focuses on spatial intelligence). Capacity building and sharing best practices with like-minded practitioners. Tools to facilitate city-specific implementation strategies. 10% discounts on all Metabolic’s City and Built Environment consulting services. (This includes services around Metabolism Analysis, Urban Mining, Circular Masterplanning, and Circular Tendering / Procurement). 10% discounts on all Metabolic Masterclasses, covering a range of topics across the circular economy and systems thinking. Access to a growing network of other cities and knowledge institutes, simplifying collaboration on EU projects, international research, and joint tendering. Membership is also available at a reduced cost that excludes participation in the research trajectory. See more in the Metabolic Cities Program brochure. For more information, look at the full Metabolic Cities Program brochure or get in touch. To find out more about spatial intelligence and see how we apply it, take a look at the spatial planning work we did for Being Development in English and in Dutch.